The official reveal of the Samsung Galaxy Note 3 is now just around the corner, with an event taking place on Wednesday. Leaks have increasingly been cropping up and today we want to look at the Samsung Galaxy Note 3 leaks bonanza and how the latest images reinforce current expectations for the look the phone. This is a really hot topic right now, and anticipation and the potential demand for this smartphone is massive. We’ll be passing on all the developments and news from the event in Berlin on Wednesday so do check back with us for all of the confirmed details for the Galaxy Note 3. For now though, we’ve been building up some idea about the phablet-style device. As far as the design goes, this is where a glut of recent leaked images helps out. These images cannot be verified as the real deal but could be accurate, and many of them have backed up previous rumors about the form factor being slightly longer. The width however, appears to be virtually the same as the Note 2 despite the Note 3 having a larger display. This is thanks to slimmer bezels on the latter. One of the most recent inklings we had for the design of the Note 3 was an image of a knockoff of the phone intended for the lucrative fake market in China. Obviously, an impersonator for the Note 3 would need to look as close to the real thing as possible, so this was an interesting look. 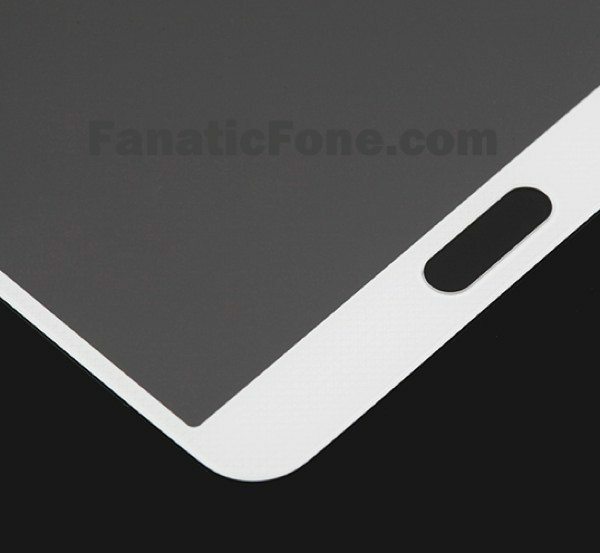 More recently, we saw a leaked image purported to be of the display panel for the Note 3. This leaked picture came from a prolific source of often-reliable information regarding upcoming devices, so certainly had some credibility to it. Further to this we saw a constructed image of the front panel that had been leaked, next to the same for the Galaxy Note 2. The Note 2 has a screen size of 5.5-inches while the Galaxy Note 3 display is thought to be 5.68-inches, and this image clearly showed how the Note 3 could achieve the same width. It also further reinforced earlier leaks that the device would be slightly longer than the Note 2. 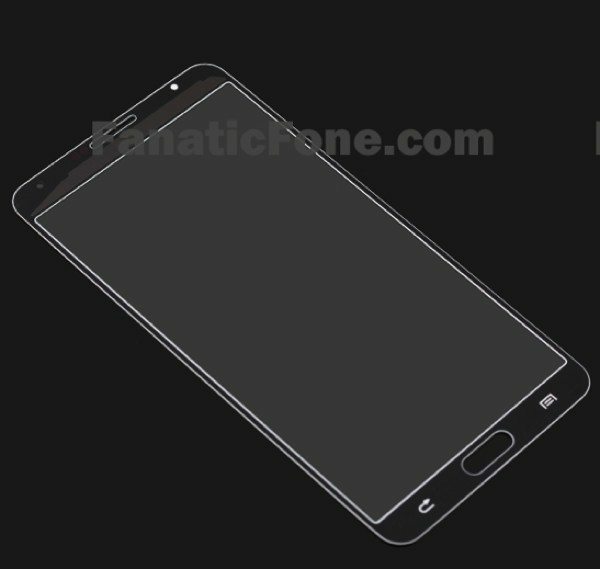 Now some more leaked images have emerged from Fanatic Fone that are claimed to be of the white and the black display panels of the Galaxy Note 3. We have already heard that the Note 3 will come in black or white color options, with rumors of a pink version further along the line. This latest pictures once again strengthen the idea that the Note 3 will be a little longer in form factor than the Note 2, and also shows once more the slimmer bezels that now look extremely likely for the phone. We’ll throw in our usual caution about not being able to confirm whether these images are genuinely what they claim to be. Thankfully it’s now only days until we will finally find out everything we want to know about the Galaxy Note 3 for sure. Hopefully we’ll soon be able to pass on official news on the phone, including specs, price and release date. We’ve already heard unconfirmed release dates for Taiwan and also the UK, and it looks very much as though the phone will be widely available by mid to late September. We’re really interested to hear what readers think about the upcoming Samsung Galaxy Note 3. Are you hoping these leaked images turn out to be accurate? Maybe the specs and features of the phone are much more important to you than the design? Let us know with your comments.